Jog - The Blog: What am I doing with my life? 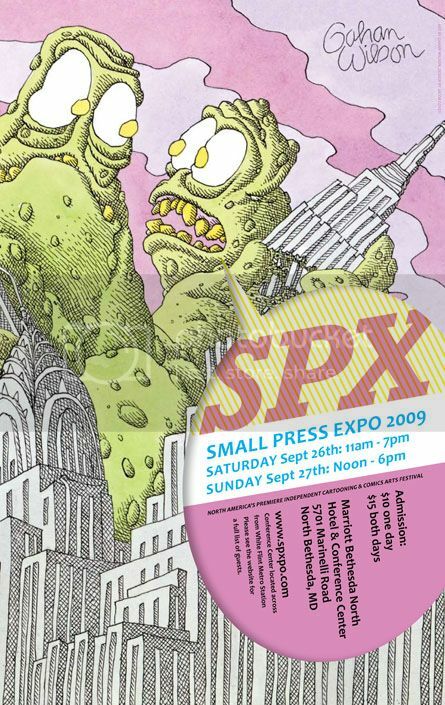 *Why, on Saturday I'll be at the Small Press eXpo in glittering Bethesda, MD! But reading comics and and thinking not a day ahead to the future is only part of the fun - at 3:30 in the Brookside Conference Room I'll be once again participating in a Critics' Roundtable, along with Chris Mautner, Tucker Stone, Douglas Wolk, Sean T. Collins, Rob Clough and the great Gary Groth. The moderator is Bill Kartalopoulos, as always. There's lots of other things happening at the show, but this is clearly the important part; questions will be solicited from the audience, so bring your hardest math problems and Blackest Night spoiler requests. See you there! Oh heck, that half of the year again? Not a better titled comic this year. I'm here, I'm tired, I'm behind.